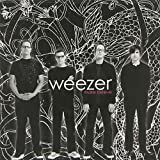 I'm probably not the first long-time Weezer fan to admit that I was dissapointed by their return to the music scene with 2001's green album. That album, along with 2002's Maladroit, just don't compare to their first two records. Fast forward to 2005. Weezer releases their fifth album, Make Believe. I was hoping that it would be somewhat of a return to form. I was hoping for a return to the great nerd-rock anthems that got me into the band in 1994. What I got was a mediocre album that's even worse than their last two. "Beverly Hills" is cheesy, "We Are All On Drugs" sounds like a 12-year-old and his friends wrote trying to brag that they smoke weed, and half the other songs on the album are simply weak. Sure, Weezer still has a few good songs up in their cannon ("Haunt You Every Day" and "Hold Me" aren't bad), but for the most part the band either needs to get some better inspiration for their songwriting or retire into obscurity and wait for their Behind the Music.